By buying this product you can collect up to 16 loyalty points. Your cart will total 16 points that can be converted into a voucher of Rs. 1.60. Hyperacidity is a medical condition in which the stomach secretes a lot of acids. It can be caused due to various medications, stressed lifestyle and spicy foods. Hyperacidity has various symptoms, which can include sudden stomach pain, vomiting, loss of appetite, flatulence and heartburn. Peptic ulcer disease (PUD), also known as a peptic ulcer or stomach ulcer, is a break in the lining of the stomach, first part of the small intestine, or occasionally the lower esophagus. An ulcer in the stomach is known as a gastric ulcer while that in the first part of the intestines is known as a duodenal ulcer. Peptic Ulcer has various symptoms, which include, abdominal pain, ulcer disease, stomach cancer and stomach disease. 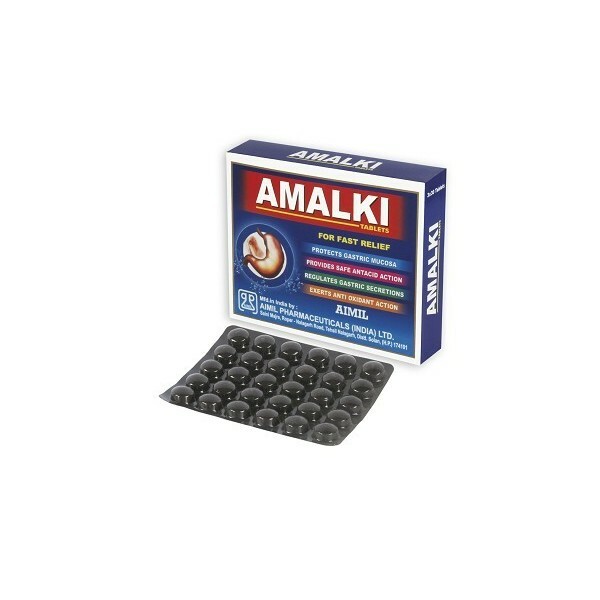 Vital herbs incorporated in Amalki(Ayurvedic medicine for acidity and ulcer) reduce the frequency and intensity of the hyperacidity or heartburn or reflux esophagitis by maintaining the gastric acid secretions and neutralizing gastric secretions, toning digestive system and metabolism food so that furthur recurrence of hyperacidity can be reduced significantly. 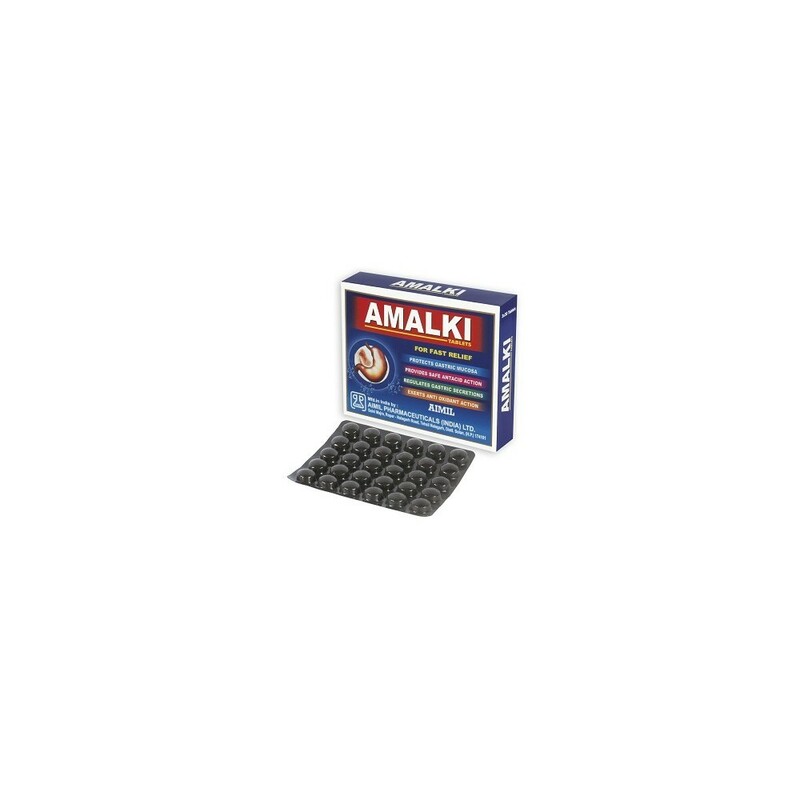 Amalki phtonutrients, acting synergistically and comprehensively at the root cause level of peptic ulcer. 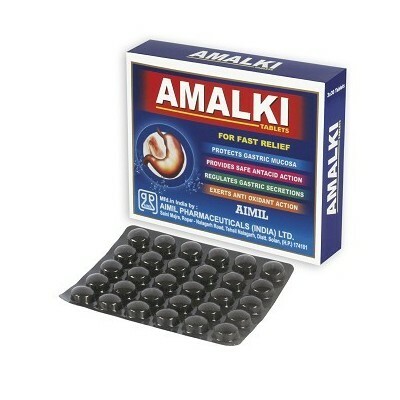 Amalki inhibitsthe growth of Helicobacter pylori and reduces increased gastric acid secretion, which are responsible for peptic ulcer.